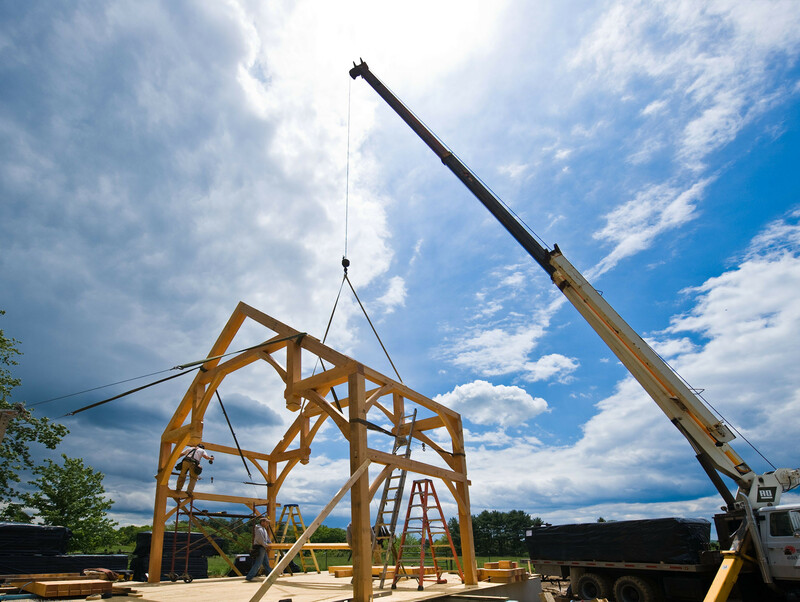 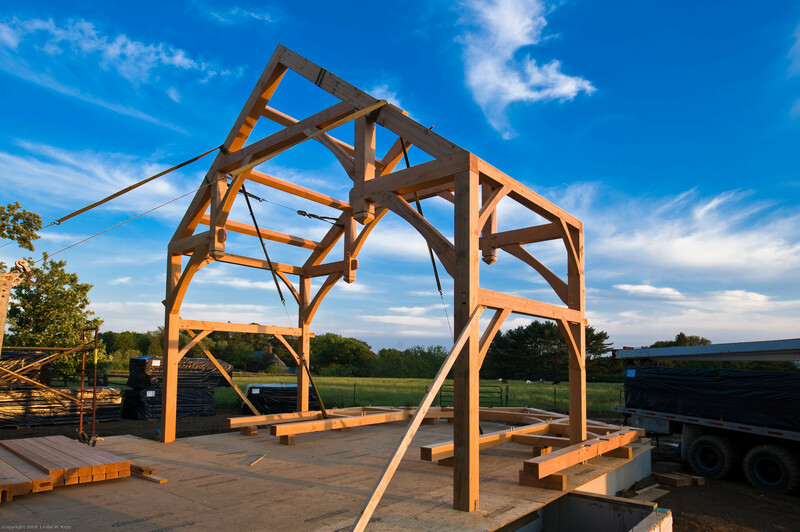 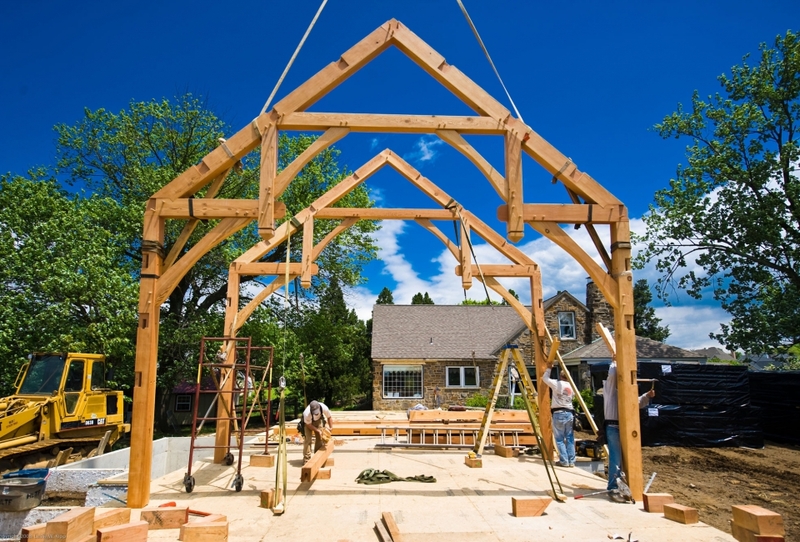 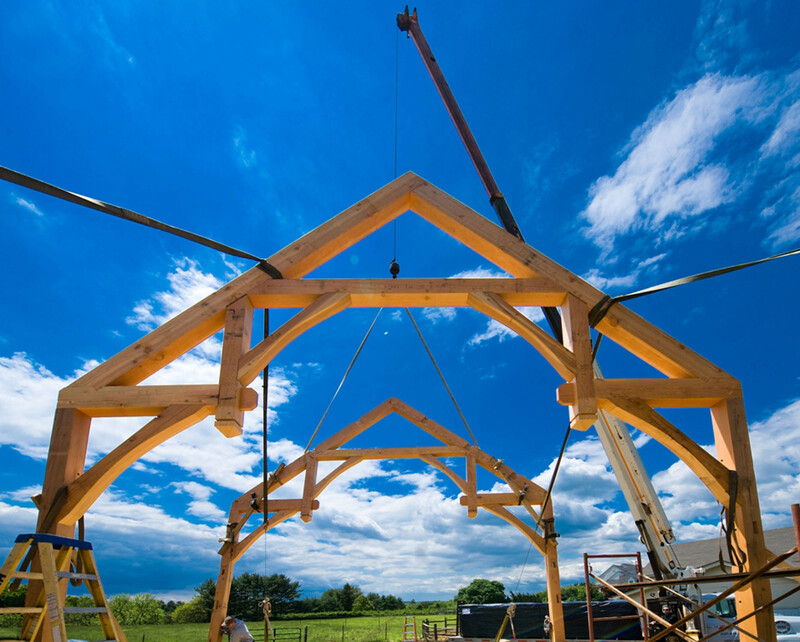 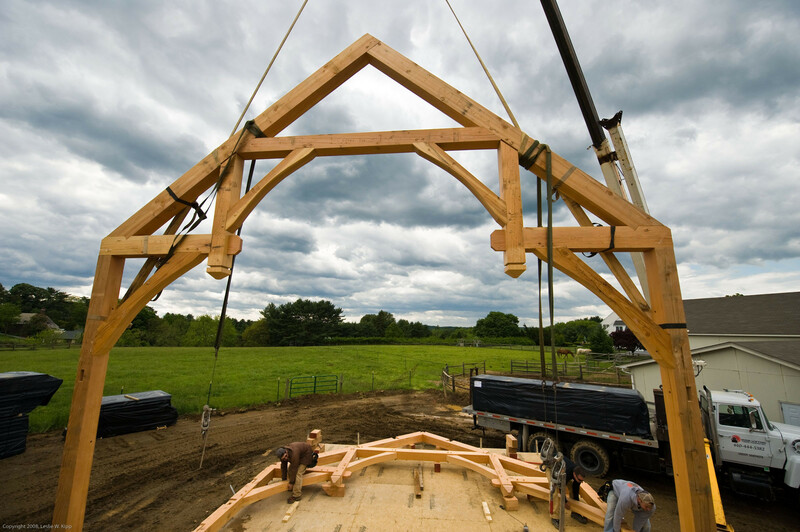 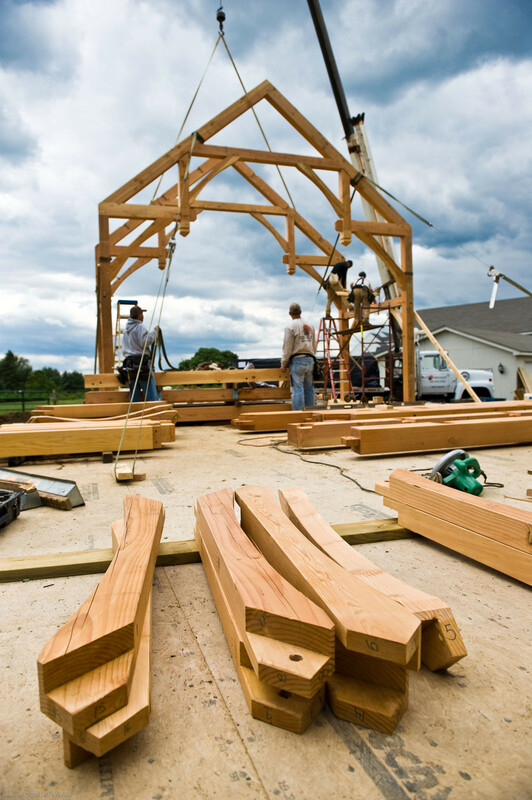 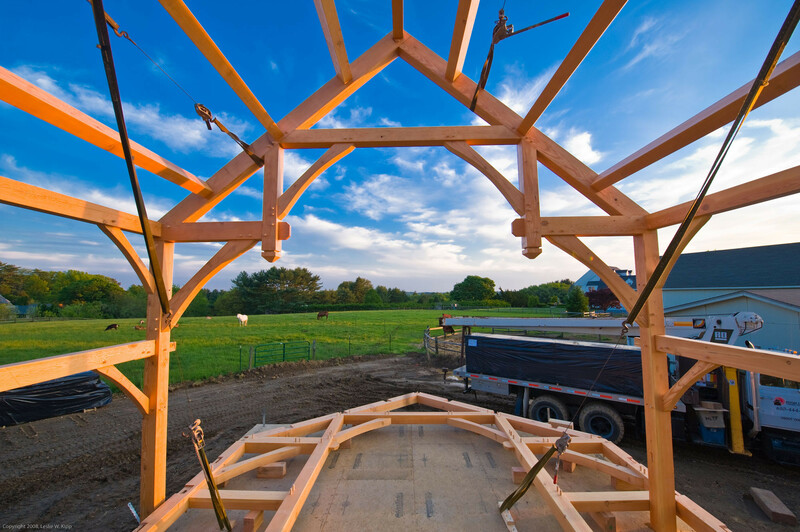 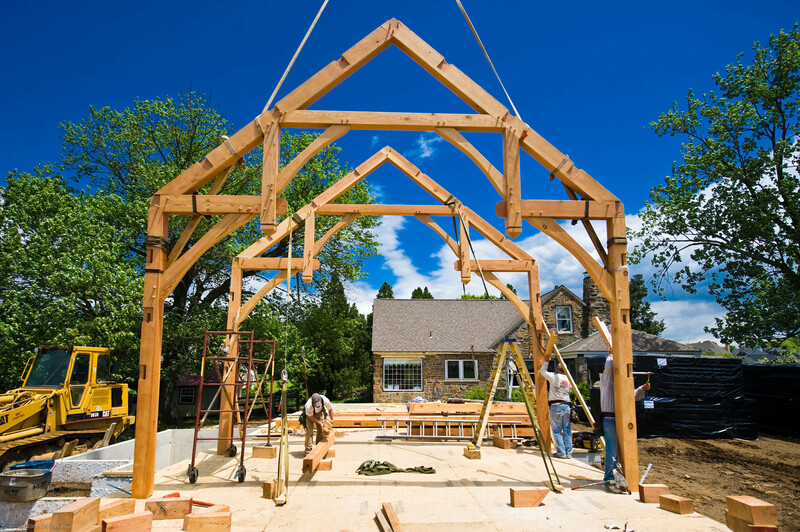 A timber-framed addition was incorporated onto an historic stone farmhouse in Delaware. 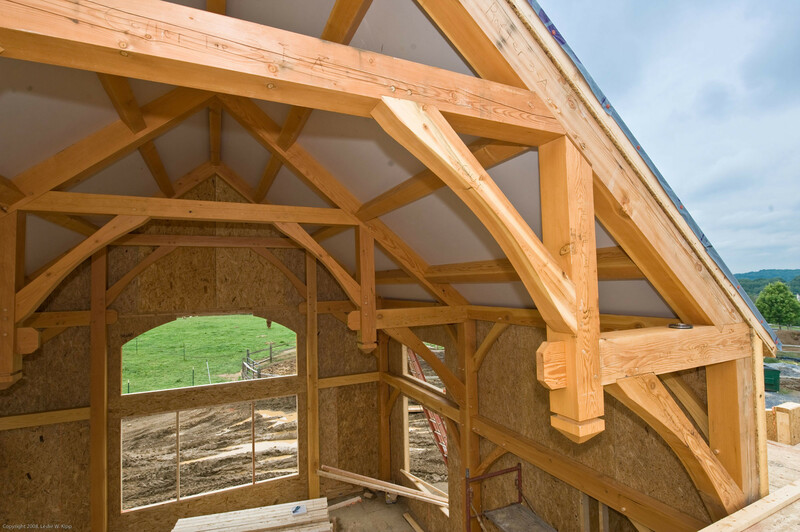 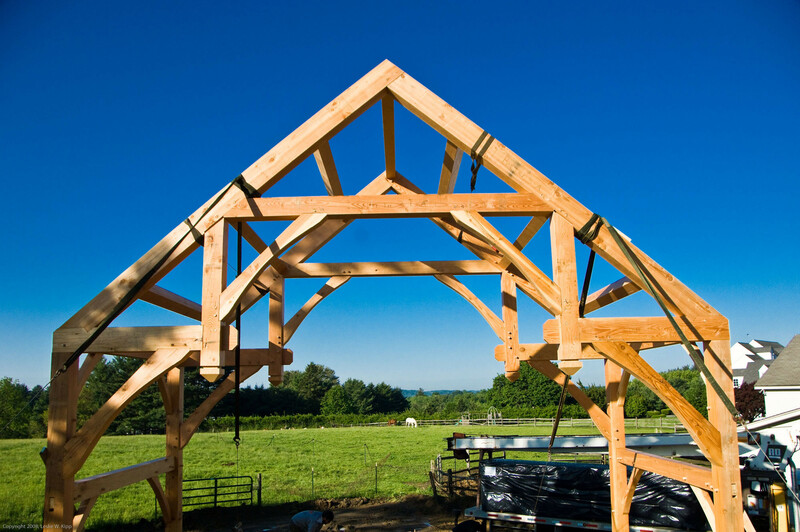 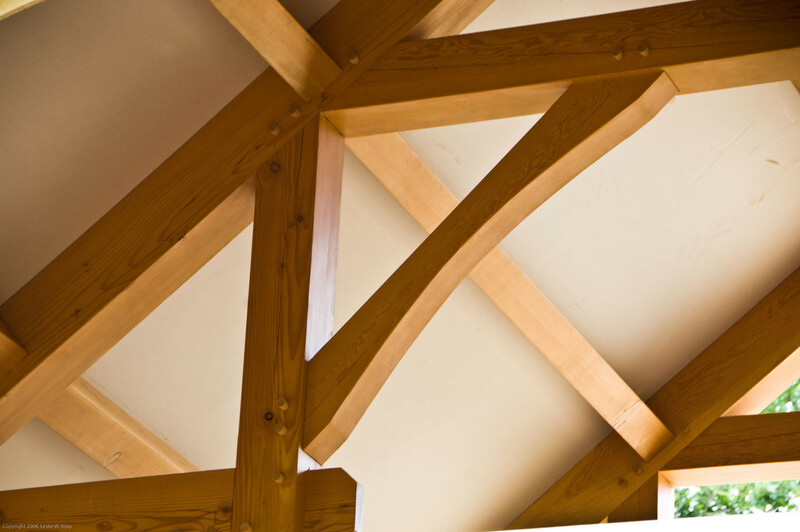 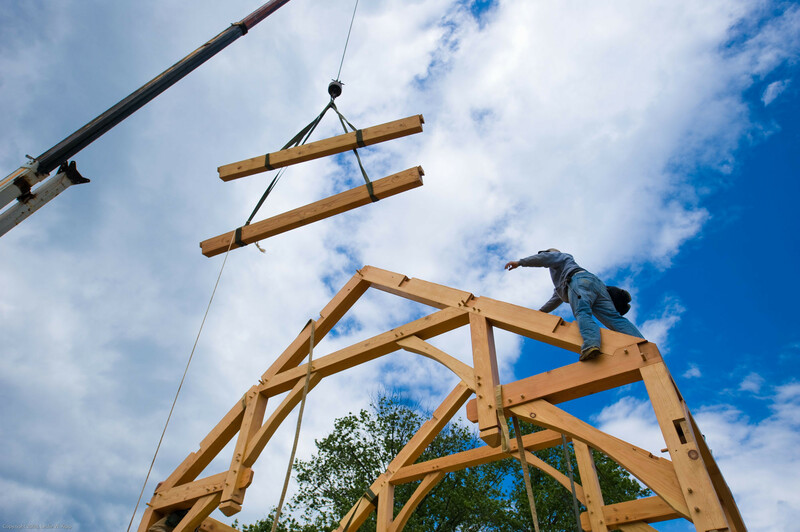 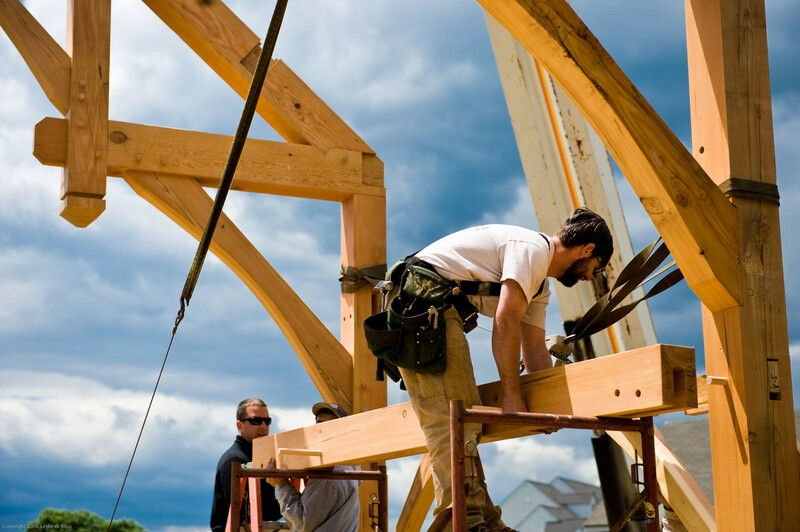 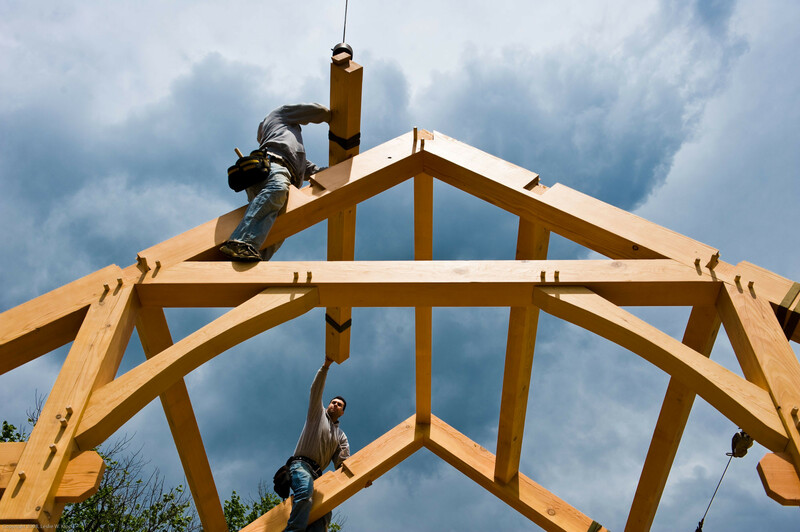 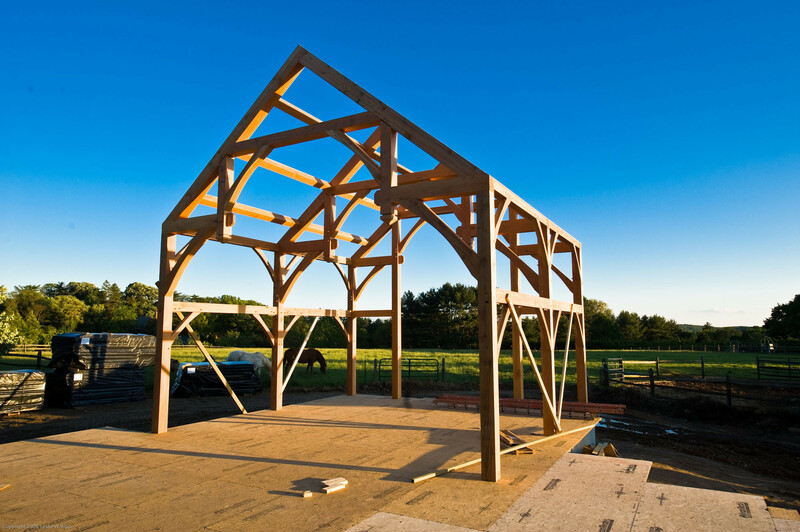 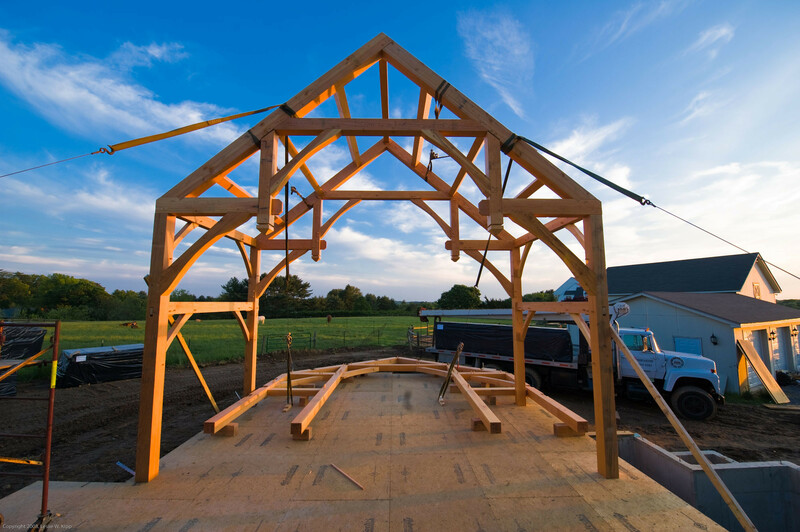 Douglas Fir hammer beam trusses highlight the double-height great room. 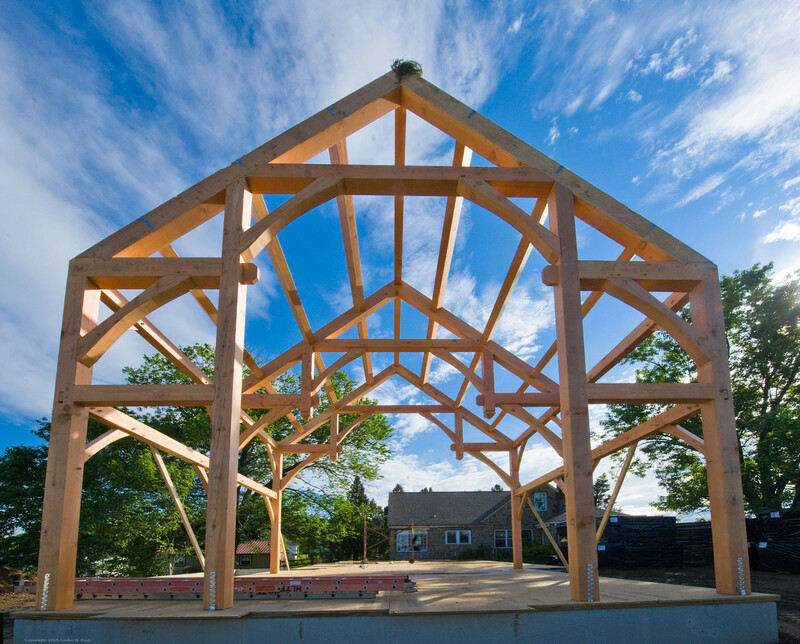 Architect: Matthew Millan Architects, Inc.